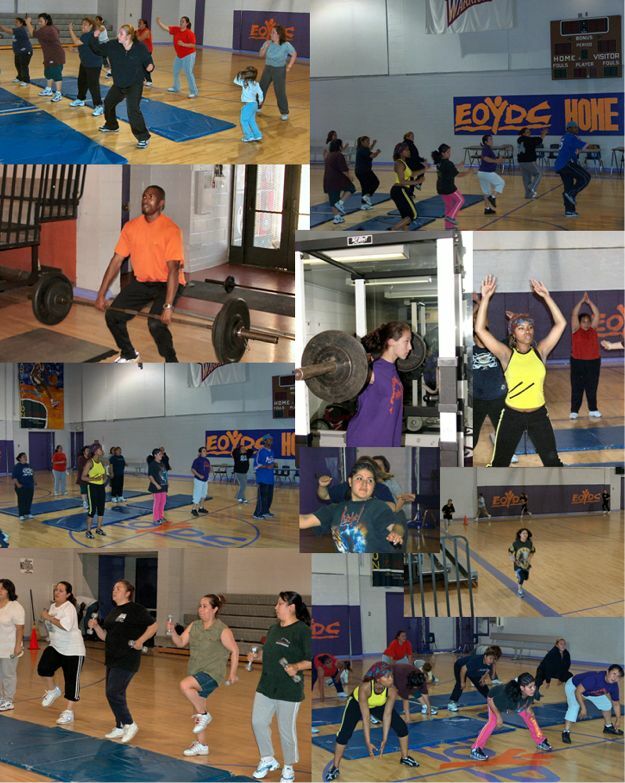 Download the registration form to be a part of the Adult Fitness Program. Your donation can help provide activities and physical fitness gear and physical development appreciation experiences to our adults. Our Adult Fitness program meets daily Monday-Friday from 12-1pm. The main goal of the program to make our participants feel good about themselves through regular exercise and by utilizing healthy eating habits. The trained staff of the Physical Development Department, can help you accomplish your personal goals by showing you the proper techniques for, jogging, using free weights, cardio vascular workout and creating a personal healthy eating program.